Recently, we applied for a small farm grant from Beekman 1802 to help fund an innovative project on our farm. 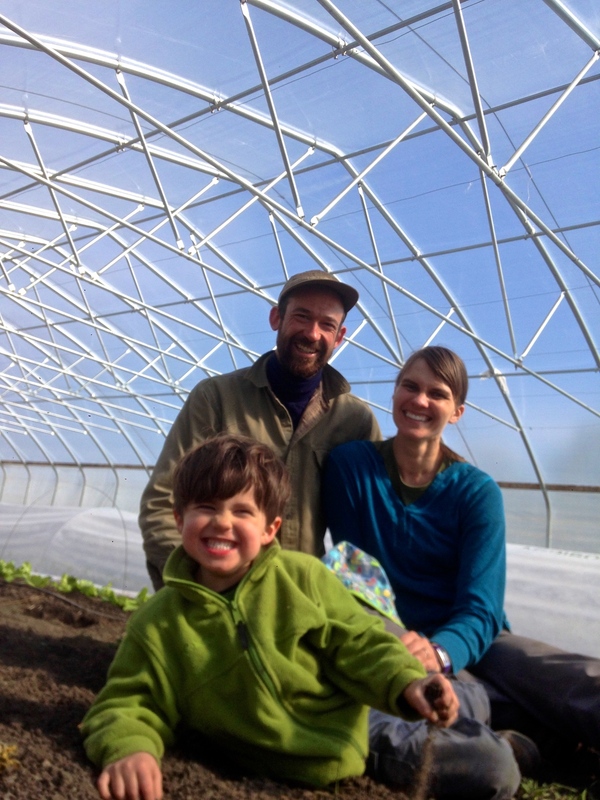 We are vying to create and expand year-round greens production in our passive solar hoop houses. (Winners will be announced on May 12--we'll keep you posted). In the least, it was fun to submit an entry and dream big! We were asked the question: Why are we so passionate about farming? It was a great reminder of why we are farmers. Farming nourishes our desire for a life filled with curiousity, creativity, and idealism. We love stewarding the land, ensuring that our farm’s ecosystem is alive and thriving for Eli and future generations to come. Adam loves to innovate and build new small-farm technology, like electric-converted tractors and small-scale equipment, and Laura loves to educate beginning farmers. That we get to do all this AND grow nourishing food for our family and community is soul-satisfying work. We feel lucky that we get to wake up and be farmers with our son everyday. Through this grant application, we've been introduced to the folks at Beekman's 1802 and their inspiring story as well. Here's a recipe I'm trying this week when the first hoop house radishes are ready! Root to leaf feta spring spread.